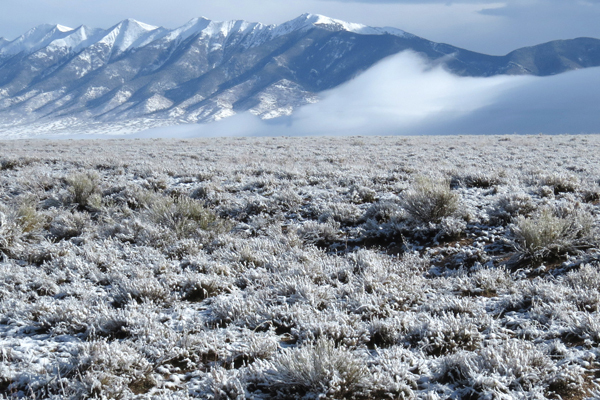 A visit to the San Luis Valley in Colorado is always a unique experience. The landscape is extreme — a flat valley filled with greasewood, wetlands, agricultural fields and sand dunes, bordered east and west by saw-toothed peaks and extensive wilderness areas. This time of year the valley comes alive with migrating birds. The Monte Vista Wildlife Refuge is well known for supporting Rocky Mountain Sandhill Cranes (Grus Canadensis) as they stop over to rest and replenish before continuing to their breeding grounds in northwestern Colorado, Idaho, Montana, Utah. Their throaty calls fill the air and their 6′ wing span surely create a current all on their own. 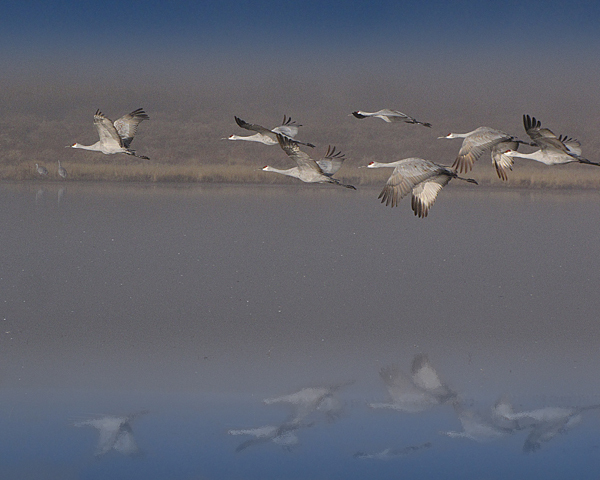 Since the cranes number in the thousands, their presence can often overshadow the variety of other birds at the refuge. A kaleidoscope of ducks, geese, and song birds find food and protection from predators among the shallow ponds, bulrush and cattails. The baby blue bill of a male Rudy duck, contrasts with the golden reeds. Rusty-brown, iridescent green and white patches of the Northern Shoveler reflect in rippling water while straining food through its signature long, flat bill. 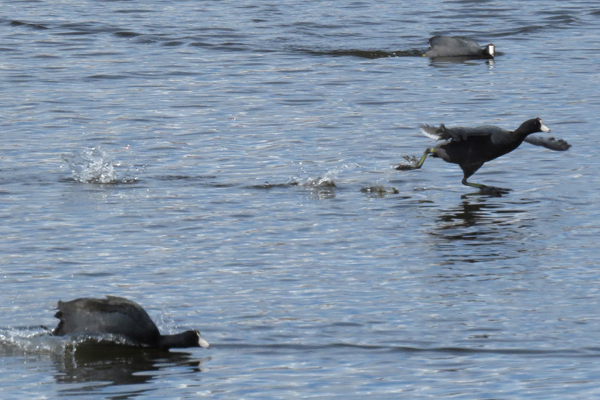 Male American Coots appear to walk on water in pursuit of females during courtship. The signs of spring always inspire me. It generates hope as my heart and mind travel on beating wings toward unknown destinations.